Rigid PVC-U Hollow Soffit in 100mm and 300mm widths providing a cost competitive and effective alternative to cellular boards. Hollow soffit can be used lengthways, but it is more commonly cut into short sections that fit together side by side along the soffit using the integral tongue and groove. 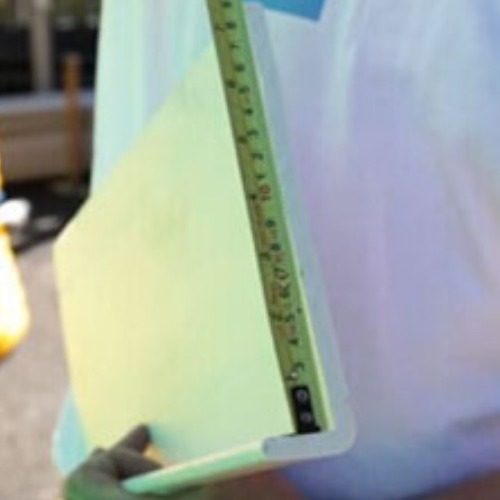 To calculate how many lengths of hollow soffit you will need when using it in short sections, first measure the soffit gap in millimetres (the gap between the fascia and the wall). Divide 5000mm by this number. This will give you the number of pieces that you will get out of each full 5m length. Now multiply this by 300 and the resulting number is the length in mm along the wall that these pieces will cover. Example - soffit width is 200mm. 5000 / 200 = 25. 25 x 300 = 7500, so one length of 300mm hollow soffit will cover 7.5m. Hollow soffits are most commonly used in conjunction with PVC Fascia and Cover boards, but they are also useful for covering larger areas such as porch celings, gables and dormer window cheeks. Edge and joint trims are available to complete the range, the most common being the J trim, which is pinned to the underside of a soffit bearer or wall batten and allows the soffit to be neatly slotted in place. 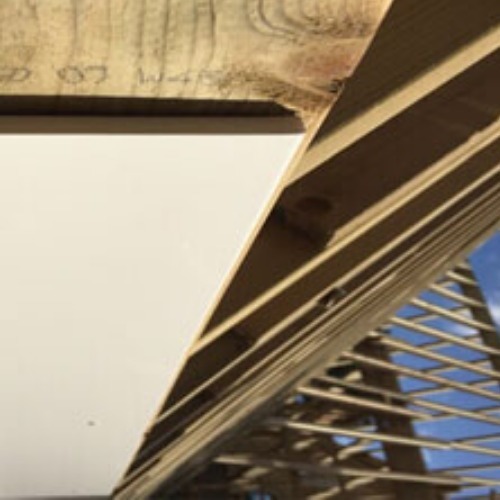 As hollow soffits are secret fixed (each fixing is hidden by the tongue and groove joint), cladding nails should be used to install this system. When used as a soffit these boards carry a 10 year performance guarantee.